In Vegas, playing casino games has its perks. Besides the potential of winning cold, hard cash, members of players clubs get free hotel stays, discounted meals, concert tickets, golf rounds, among other rewards. And when it comes to tournaments and casino events, there are even more benefits just for playing. 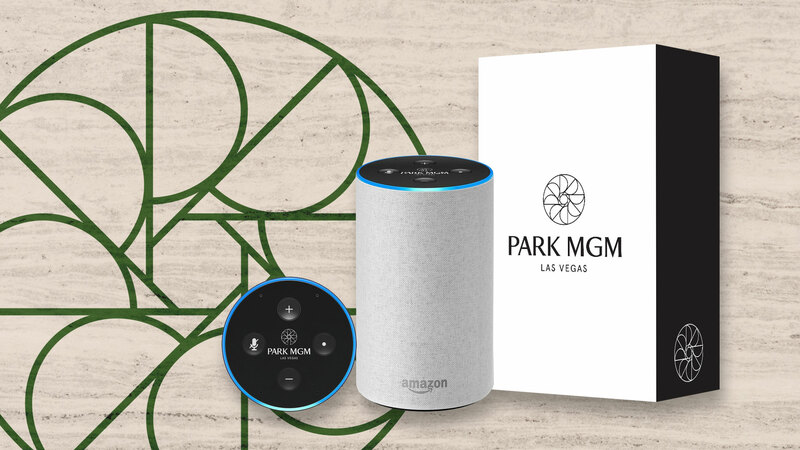 A number of Vegas casinos have included customized tech gadgets as part of the benefits for participating in a special event. 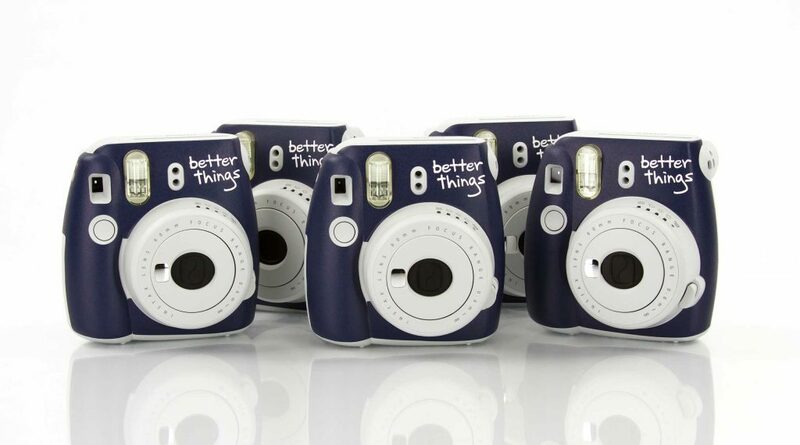 These giveaways serve as reminders of the event after the players have left the casino floor. 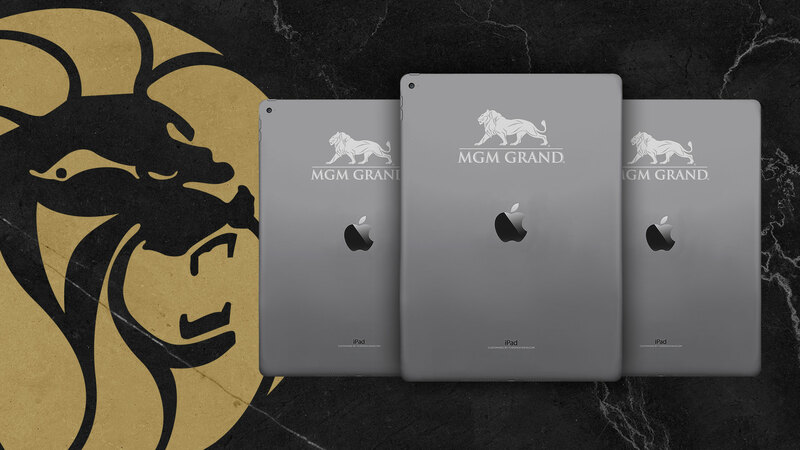 Off the strip, MyVegas, an online gaming app by Playstudios, gifted its top players with a customized Apple iPad Pro. When it comes to casino tournaments, special events, and even online casino gaming, the “wow” factor sells more than the game. It’s all about the player having the best and most memorable experience. Inspirational speaker and best-selling author Mary Morrissey is a dream builder, who empowers others to achieve new heights of “spiritual aliveness, wealth and authentic success.” Morrissey is the visionary behind Life Mastery Institute®, a life coaching certification program that has transformed the lives to tens of thousands of people worldwide. 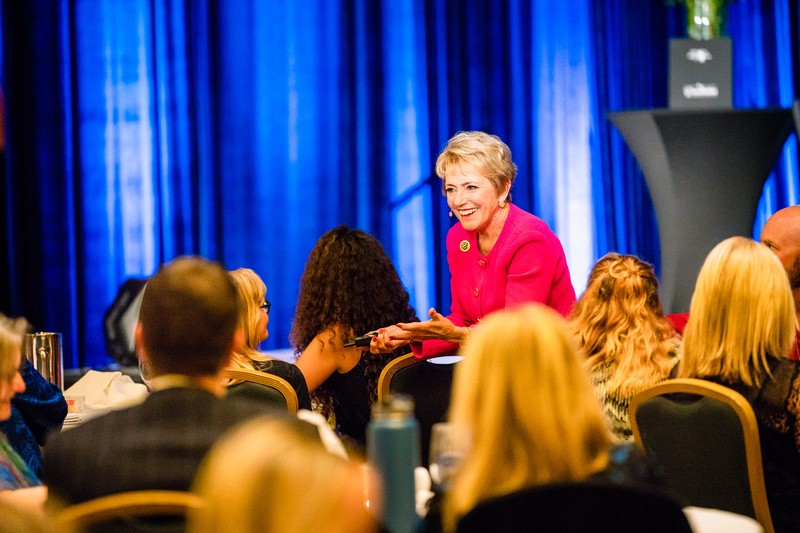 Through Morrissey’s certification program, coaches are trained and mentored to learn how to effectively teach others and build their own successful, difference-making life coaching business. Coaches also receive in-depth mentoring, tools and templates for authentic client attraction, heart-centered client enrollment and business-building. 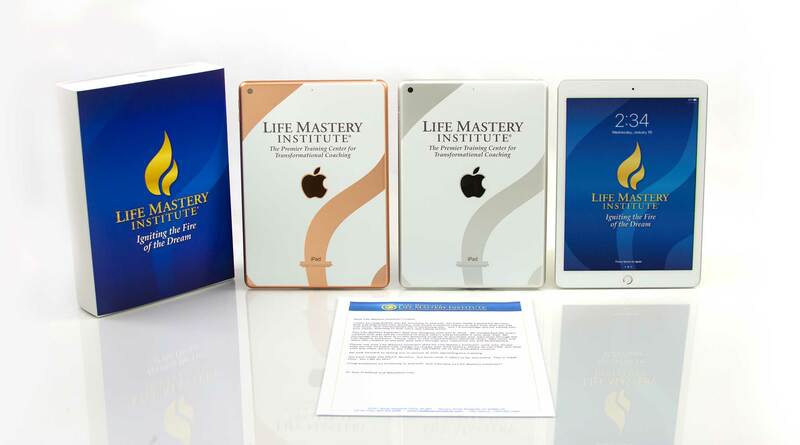 As part of the certification program, the coaches-in-training are given a customized Life Mastery Institute® iPad with books, music, program audios, and teaching tools all preloaded on the device. Each piece of preloaded content is handpicked by Morrisson, who encourages coaches to use the iPad as an all-in-one tool to find the resources they need for their life coaching business. The Life Mastery Institute® iPad brand experience begins with a printed letter from Morrissey to welcome to coaches to the program. The next layer is the unboxing of a custom blue and gold branded device sleeve that is precisely fitted around the iPad box. 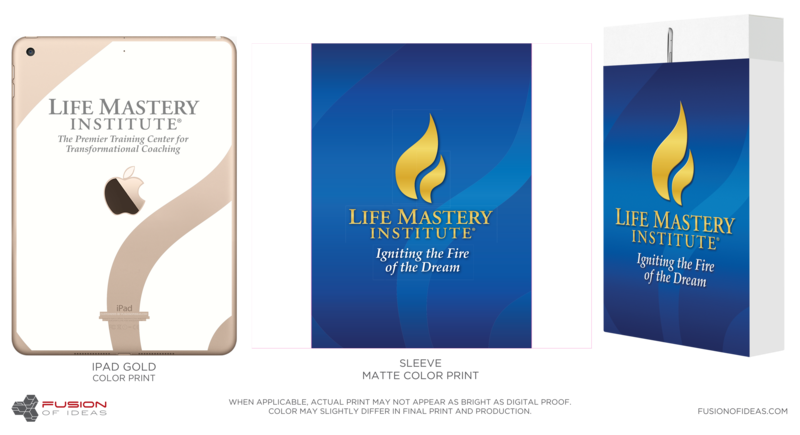 Inside the box is the Life Mastery Institute® iPad customized with the logo etched on the back of the device. 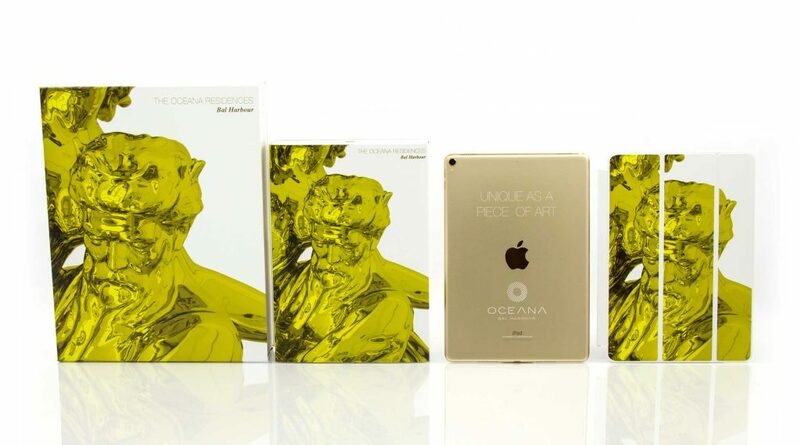 Through FUSION OF IDEAS’ proprietary laser etch process, the carefully designed artwork on the iPad will not fade, chip or rub off. And finally, the homepage of the iPad is completely personalized for the program with a custom home screen and dedicated apps and content preloaded onto the device. To learn more about how FUSION OF IDEAS can create a brand experience for your business, visit fusionofideas.com/branding. The GOLFWEEK Amateur Tour, with 50 regional tournaments, was founded to give amateur golfers a chance to compete in a nationwide series of stroke-play golf tournaments. Open to men and women, young and old, the tournament – now in its 25th year – uses some of the best championship golf courses and concludes with a National Tour Championship, which awards the final winner among the top players in each flight. In addition to a day on the greens, the winner of each flight is awarded a crystal trophy and each participant is entered into a tournament raffle. 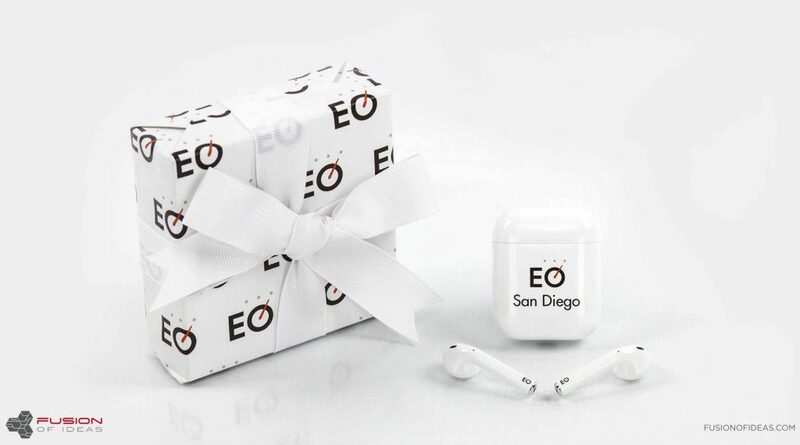 At the El Paso, Texas/Las Cruces, N.M. tournament, customized Apple AirPods served as one of the top prizes for the event raffle. 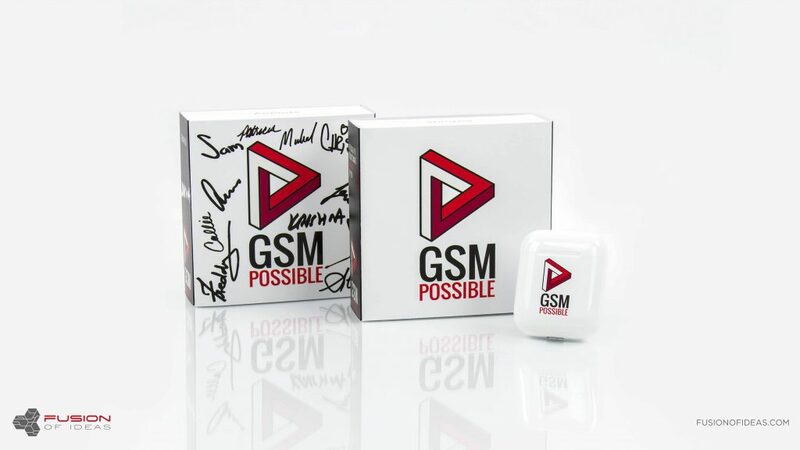 As one of the hottest tech accessories, it was a highly sought-after prize for the 60+ participants of the event. 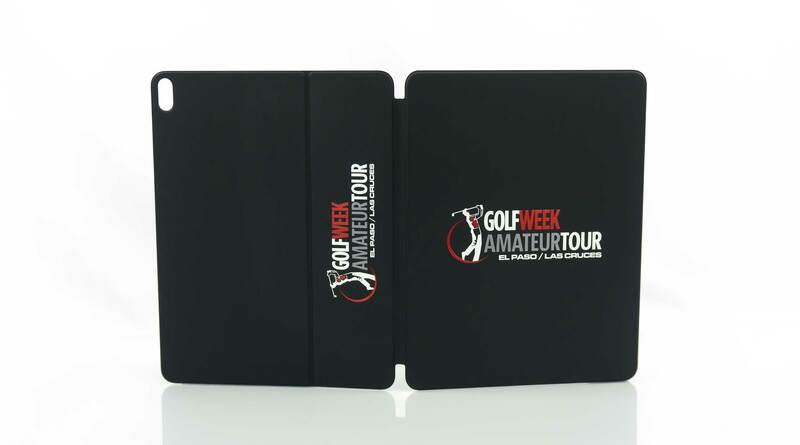 Additionally, Apple iPad Pro tablets with customized Smart Keyboard Folios were used to check the golfers in at each tournament and serve as a live score board. 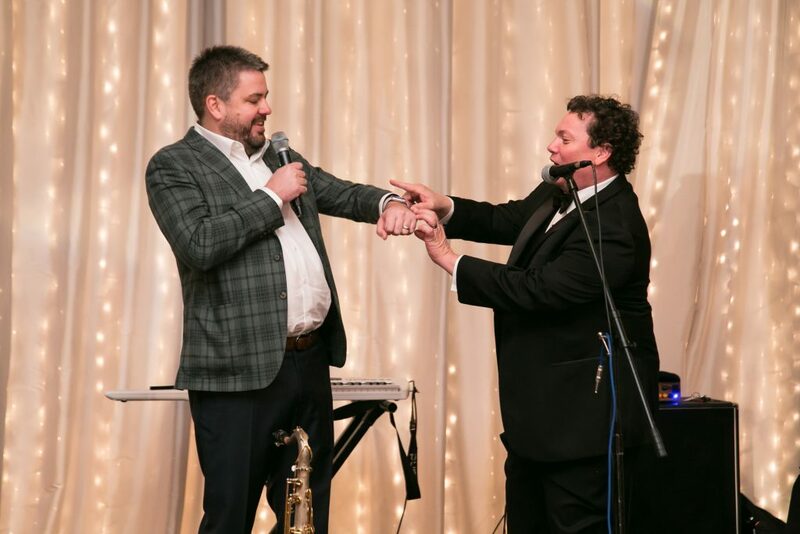 As we have seen in this event, and others, cohesive branding can significantly add value and experience for all attendees and participants involved. Employees cannot take their jobs for granted. At the same time, employers cannot take their staff for granted. As an employer, your employees dedicate a significant portion of their time to help you succeed. 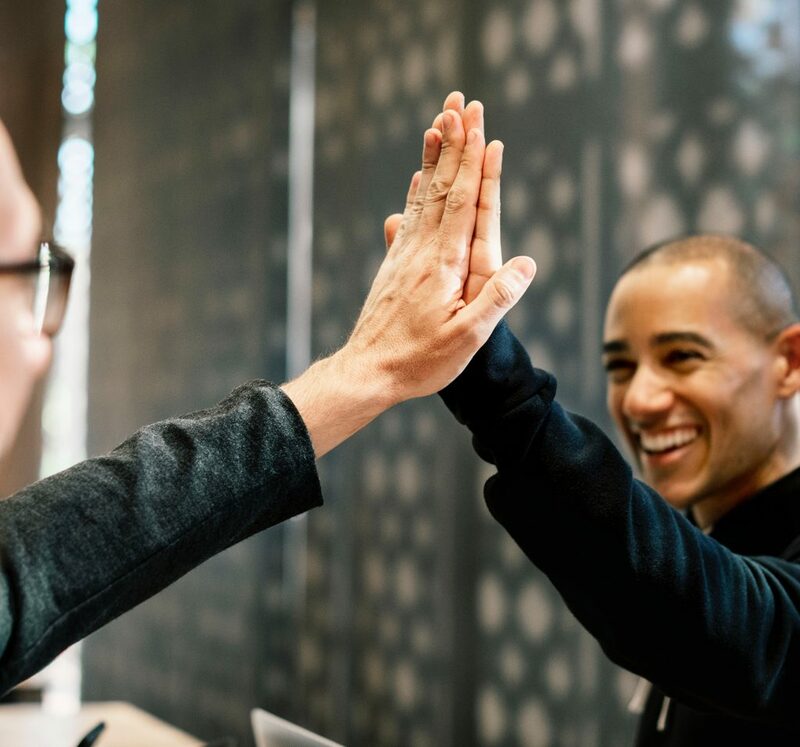 With Employee Appreciation Week approaching (February 25 through March 1), how will you thank your team for their hard work and dedication? Get involved. Leaders in the company should be involved in the planning of the celebration, no matter how big or small. Don’t leave the task to non-management employees. Employers need to celebrate their employees and show them how important they are to the whole company. Everyone is important. Avoid the temptation to spotlight certain employees. There is a right time and place to recognize top achievers. Employee Appreciation Week is an opportunity to show gratitude to the entire staff. Know what they want. If you are giving a gift, remember that your employees are worth more than a tchotchke that will end up in a drawer or be given to their children. Skip the low-quality items and give something that is valuable and memorable to them. A memorable gift doesn’t have to be expensive. 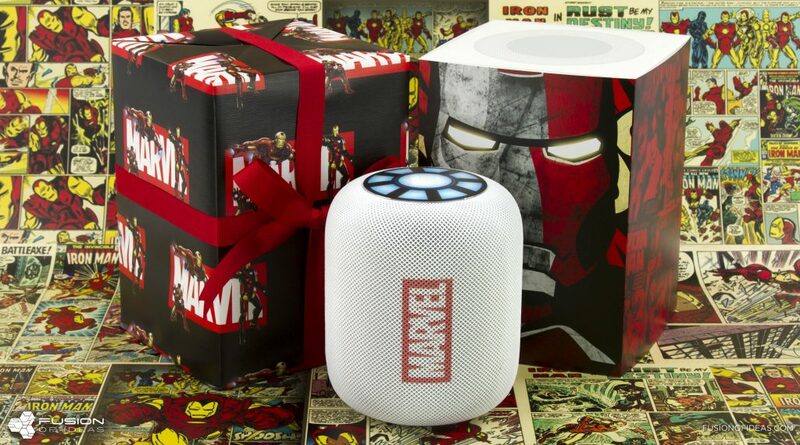 There are many cool giftable gadgets that are priced fairly, such as Apple AirPods, YETI tumblers or Amazon Echo Dot. 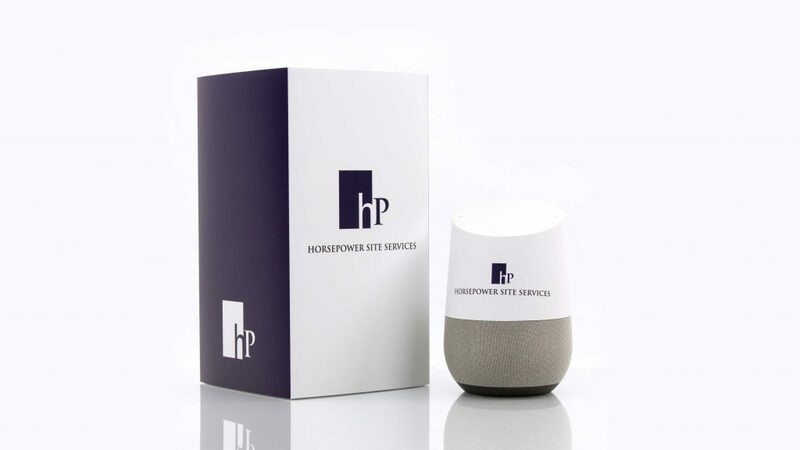 We’ve taken to our blog in the past to showcase a growing trend of companies turning inward and giving unforgettable gifts to their employees. 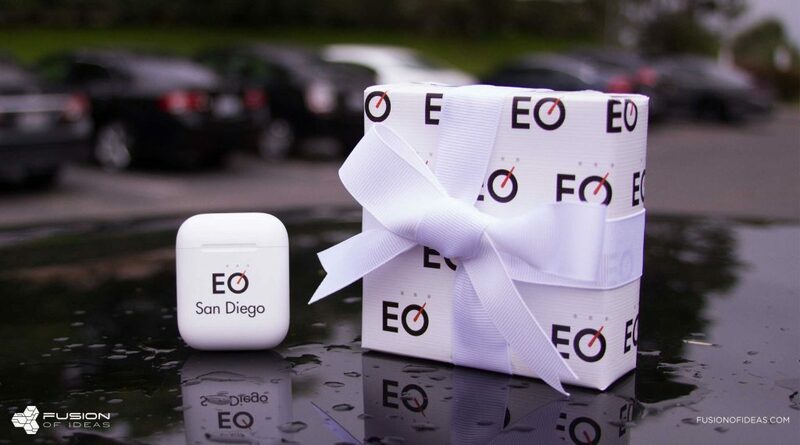 Here are a few more examples of businesses that have shown appreciation to staff through gifting. 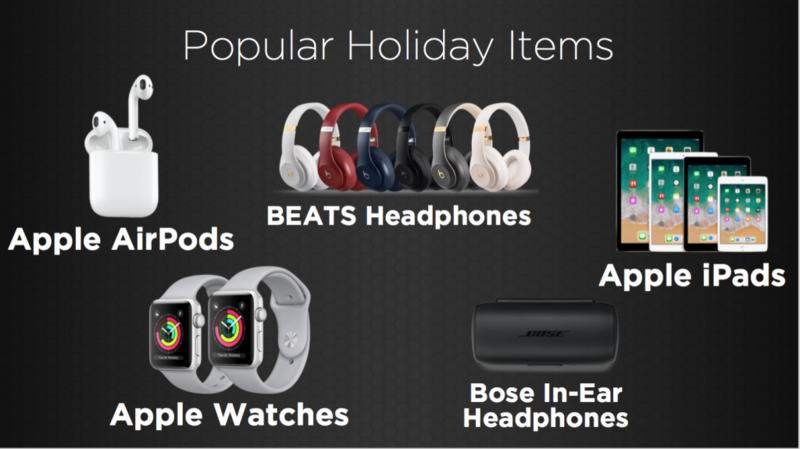 From Apple Watch and Apple gift cards to Amazon Show, Bose Quiet headphones and Yeti coolers, we saw an array of corporate gift requests come through over the holiday season. 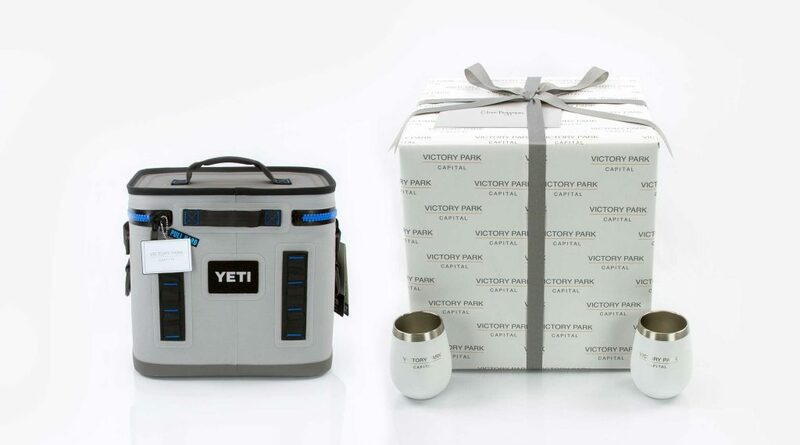 On top of brand customization, businesses opted to add extra touches such as personalized gift tags, custom set-up boxes and custom gift wrap to create a memorable unboxing experience for the recipients. 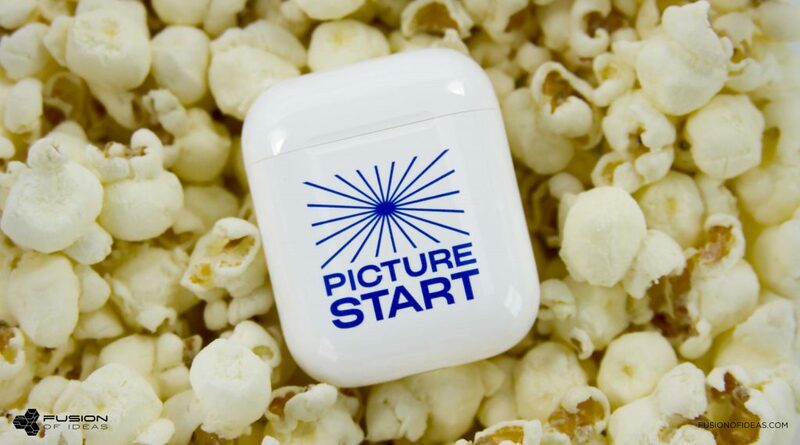 A custom sleeve is the most popular custom option for corporate gifts as they are precisely cut to fit snugly over the original manufacturer packaging. Sleeves are customized using our color printing process and come in various finishes, including matte, satin, UV glass or spot gloss. 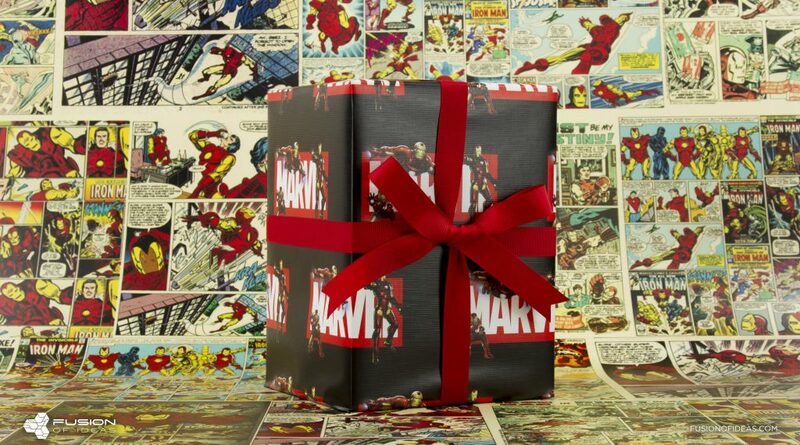 Custom gift wrap is individualized with the company logo or artwork. Each piece of gift wrap is precisely cut to the perfect size for the gift, which is hand wrapped and finished with a matching bow. 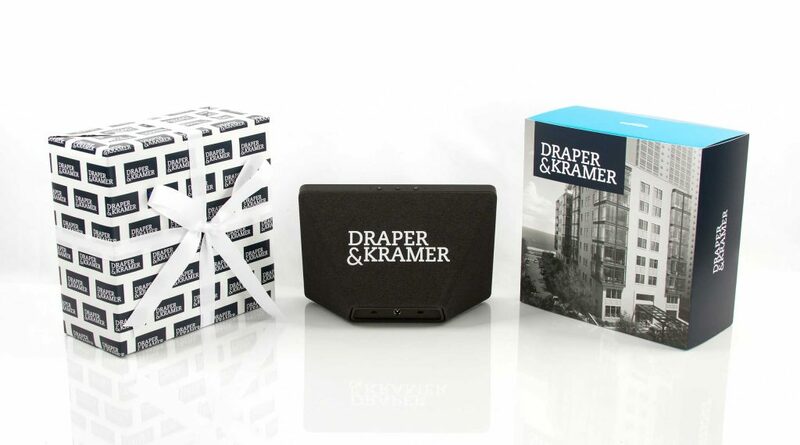 And finally, custom set-up boxes have become the standard for the ultimate, executive-level gifting experience. 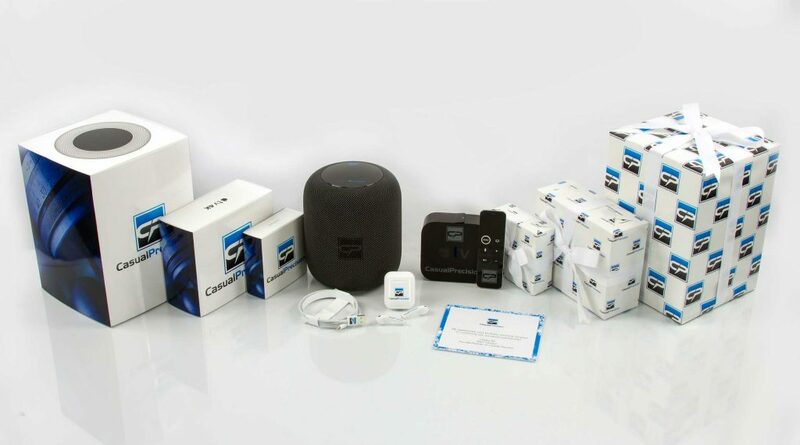 Creating a luxurious unboxing experience for a single device or for neatly housing multiple products, each set-up box is custom designed according to the device(s) size and company brand. Bowl games have a long history of making the holiday season merrier and brighter for college football fans, especially when your team is in the playoffs. For the players involved, there is a great sense of pride that comes with playing in the biggest game of the season. And of course, there is bowl swag. 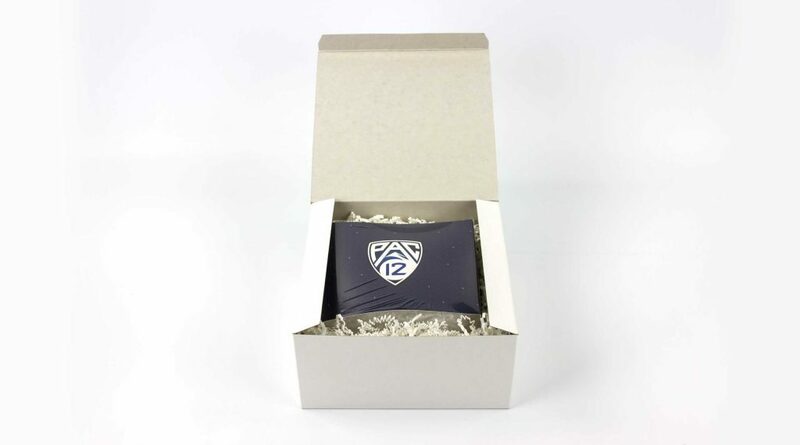 The Pac-12 Conference events team partnered with FUSION OF IDEAS the last two football seasons to create memorable gifts for the Pac-12 bowl teams as a reward after a long season of hard work. 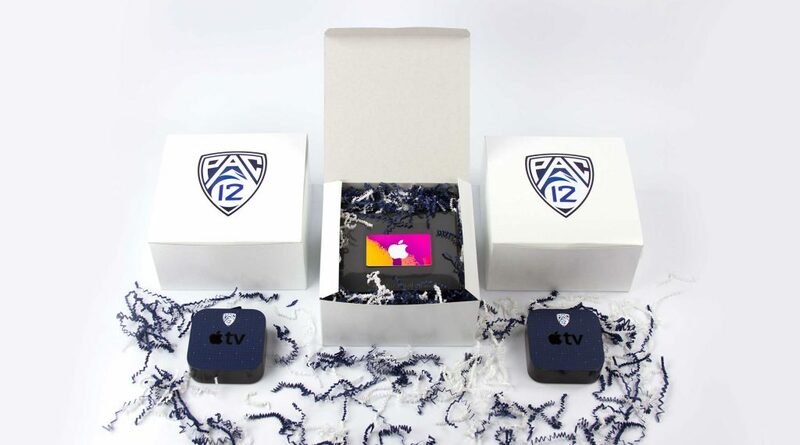 Both years, the gift of choice was a customized Apple TV gift set that included a fully branded Apple TV, remote, and iTunes gift card, which were shrink-wrapped and packaged with coordinating crinkle paper inside a customized Pac-12 shipping box. 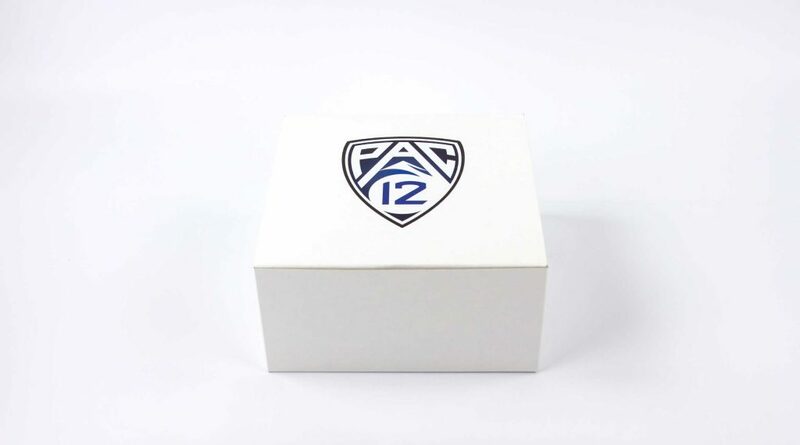 The one-of-a-kind gift, which took a popular Apple technology and made it personal with custom branding and packaging, was a unique and thoughtful way for the Pac-12 organization to show appreciation to the players. Playing the most important game of your season is already a dream come true. Add in cool free stuff and it’s easy to see why athletes love this time of year. Phobio is a software company that helps brands create better technology experiences for their customers. The Atlanta-based business is driven by a team of individuals who are leaders and experts in their fields. 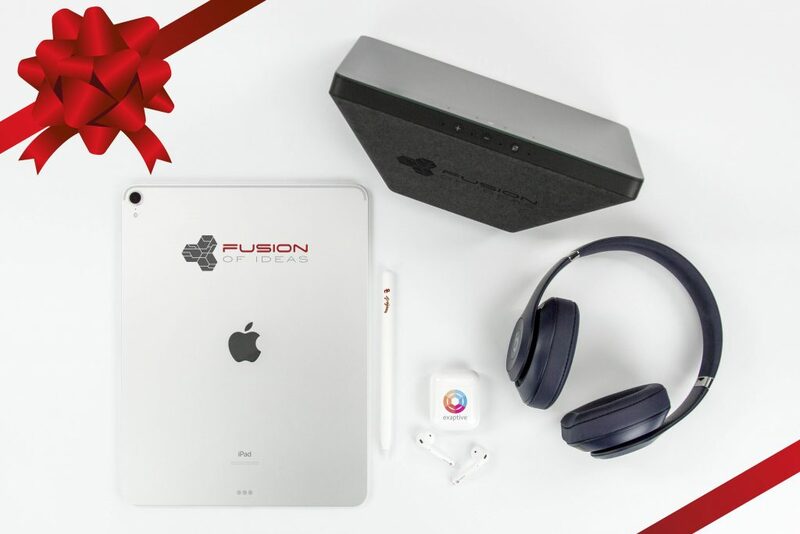 In 2017, as a way to reward employees for a successful year, Phobio partnered with FUSION OF IDEAS to help create a one-of-a-kind gift for its employees to appreciate and enjoy all year long. 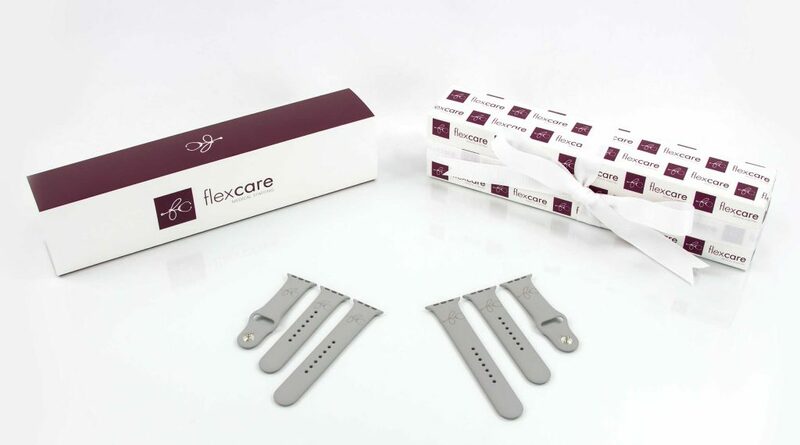 Each watch included a personalized gift tag for the recipient and was packaged in its original box covered with a custom box sleeve. 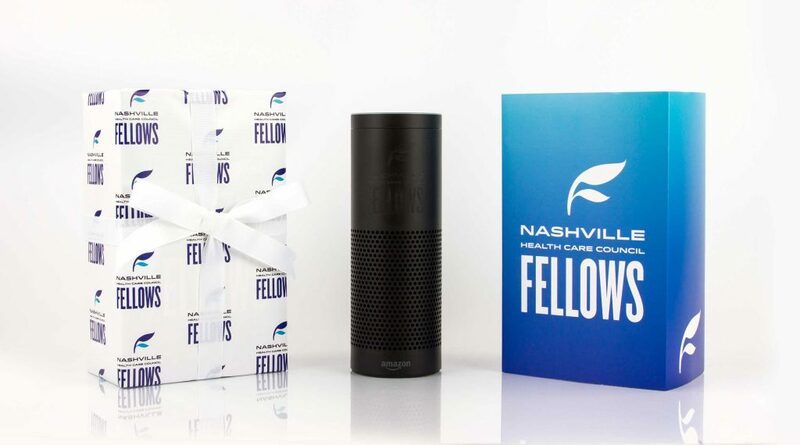 Phobio chose to pull everything together with custom gift wrap, which was designed by FUSION OF IDEAS and incorporated the company logo. 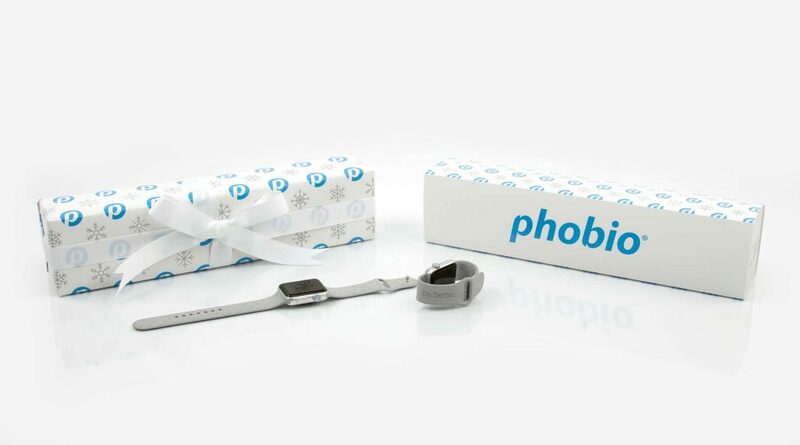 As a company that fosters a collaborative working environment, Phobio was excited to present these personalized gifts to its employees, and the response was overwhelming. As soon as we got our hands on the new Apple Watch Series 4, our design team went to work to find the best points of customization and created the WORLD’S FIRST customized Apple Watch Series 4. The specs. We started the process by getting the exact specs of the device, down to the millimeter. 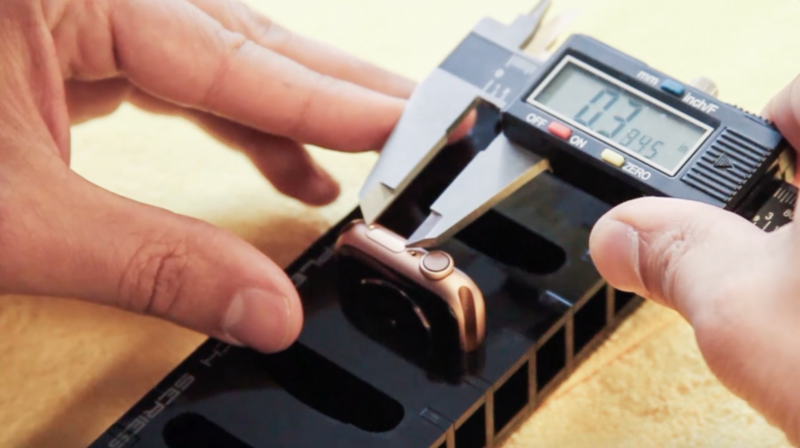 Precise measurements are crucial as we only get one chance to print directly on a device or accessory. 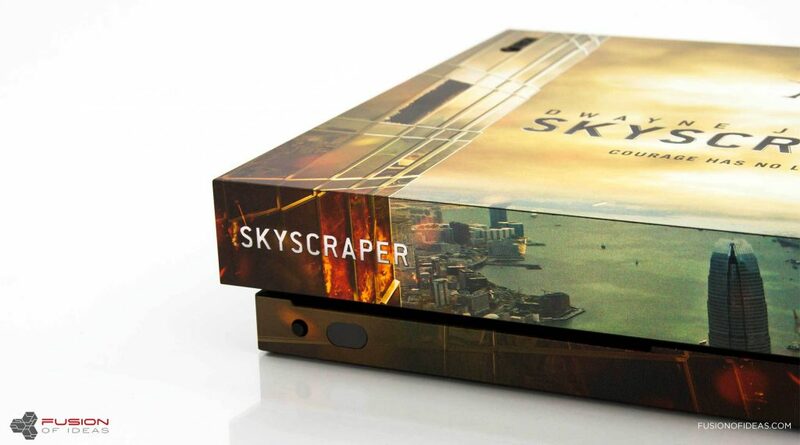 The mockup. 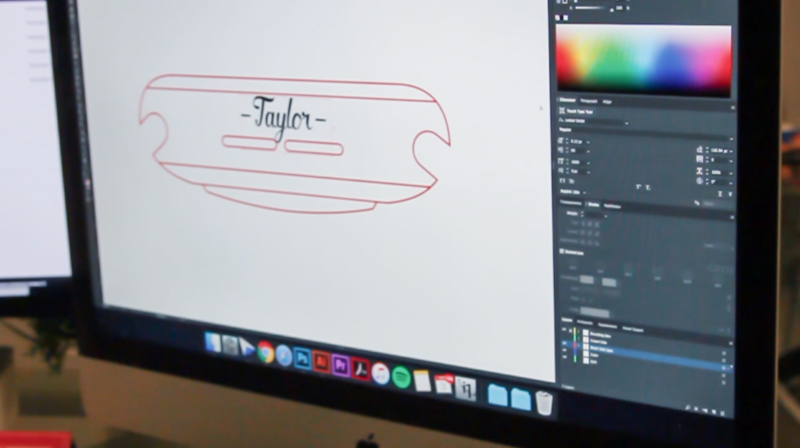 Once measurements are logged, our design team went to work creating a mockup of the design, painting a picture of what a finished custom device will look like. 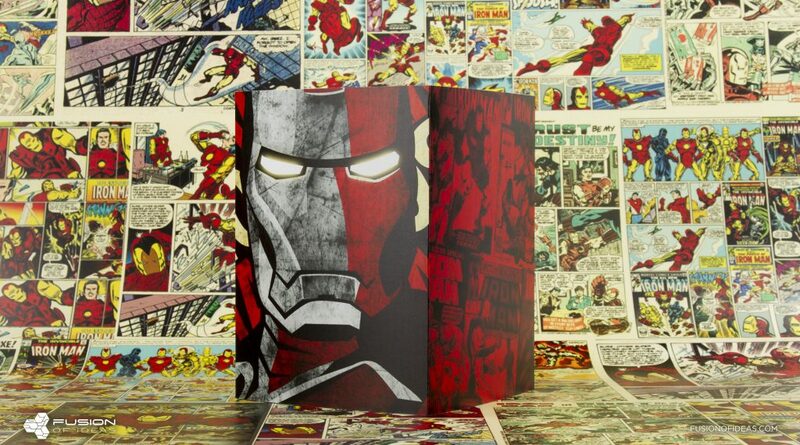 A final proof is sent to the client for approval before production begins. The production process. Depending on the device, we may build a custom housing to hold the device while it is in the printer. 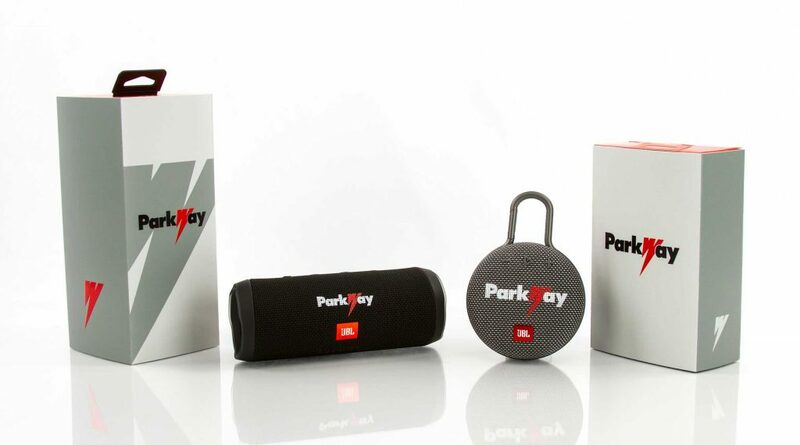 Our patent-pending color and laser customization process allows us to permanently brand devices with high-quality, full-color graphics without voiding the device’s warranty. The packaging. 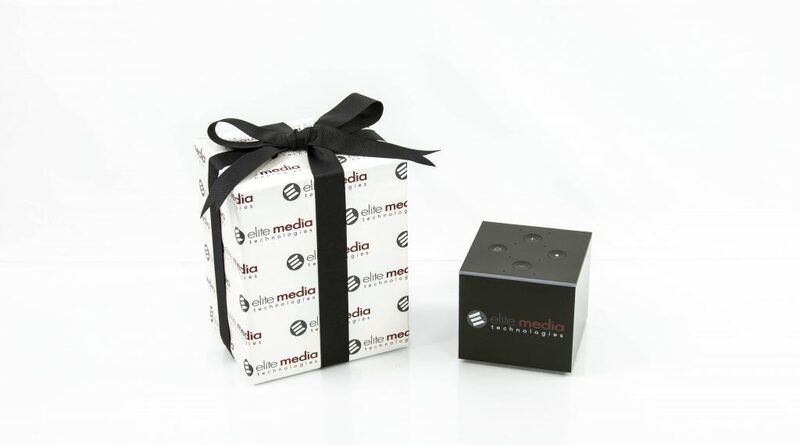 We extend the brand experience with custom packaging solutions including sleeves, boxes, gift wrap, shrink wrap and one-of-a-kind packaging experiences. 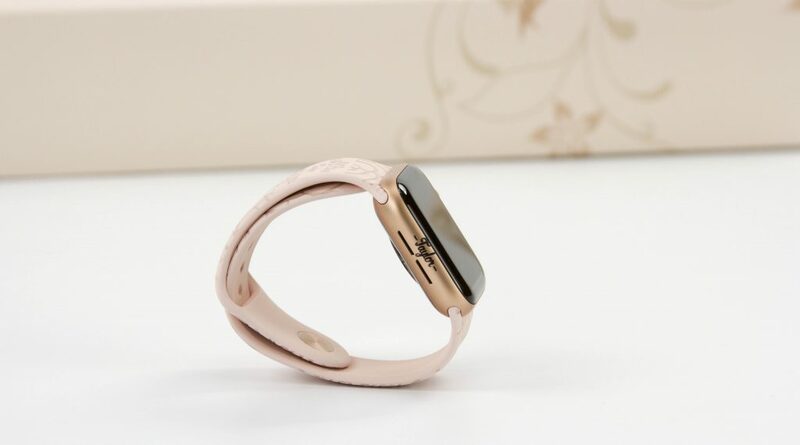 We are thrilled about the new Apple Watch and the results of the customization. The most significant added feature on Apple Watch Series 4 is that it is also a health-tracking powerhouse. 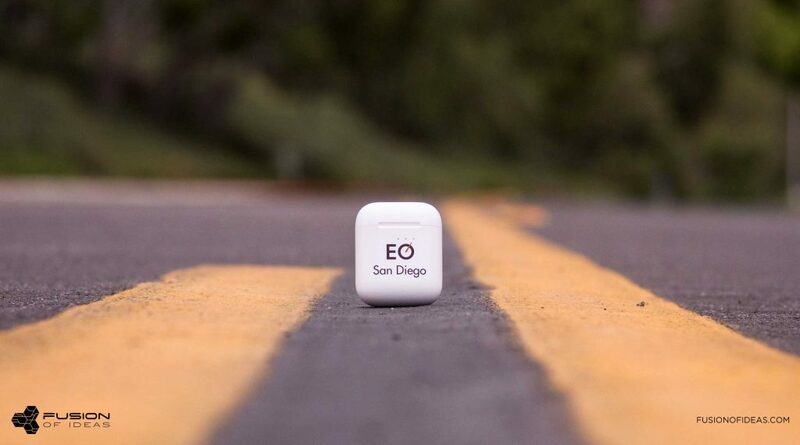 Game-changing features such as fall detection and emergency SOS open the device to new audiences: fitness and outdoor enthusiasts, senior care providers and healthcare workers. 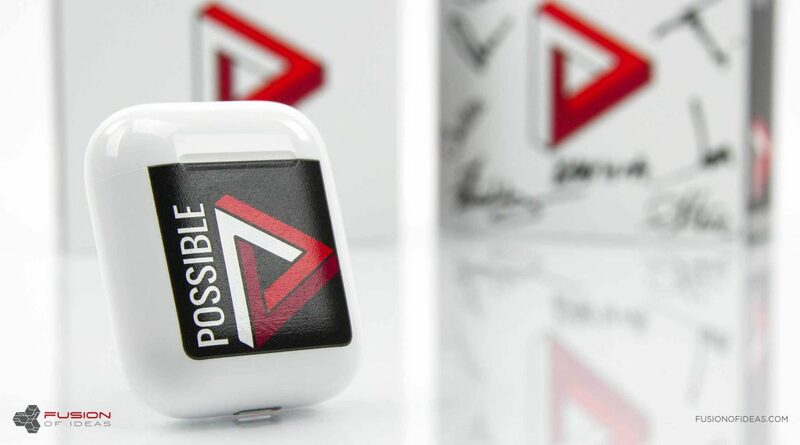 For us at FUSION OF IDEAS, deciding whether or not this new wearable gadget is worth purchasing is a no-brainer. And with the holiday season around the corner, this is the perfect gift for your valued employees or customers. 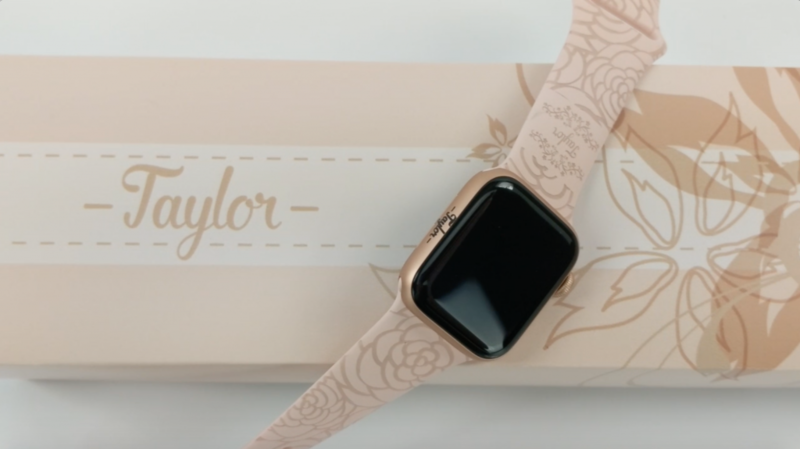 The only question remaining: how will you customize the Apple Watch to fit your company brand and culture? 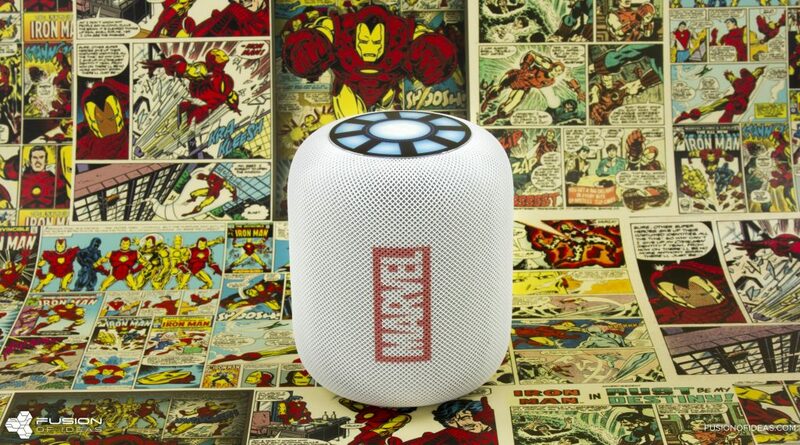 This may seem obvious, but we tend to nerd out every time a new Apple product is released. Apple’s livestream product announcement events, typically happening once or twice a year and bearing charming names such as “Let’s meet at our place” and “Hey Siri, give us a hint”, are monitored closely in the Fusion of Ideas office. 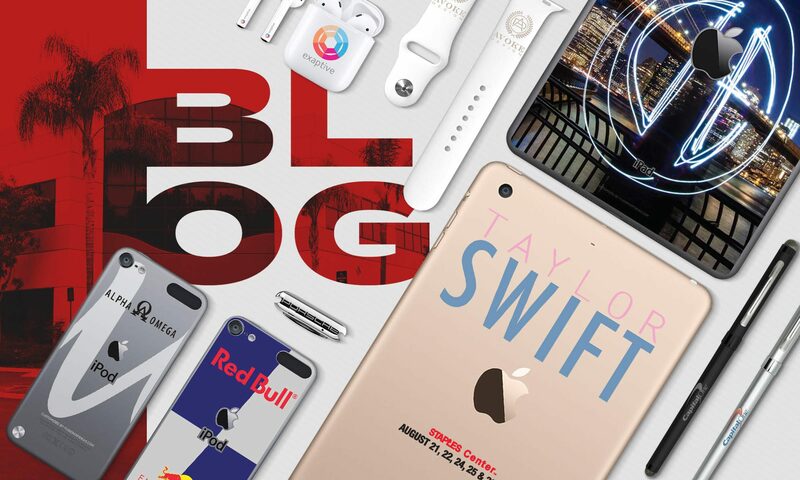 Part of this is because many of us are personally Apple fans, but the other part is excitement about the branding possibilities that come with a new device. 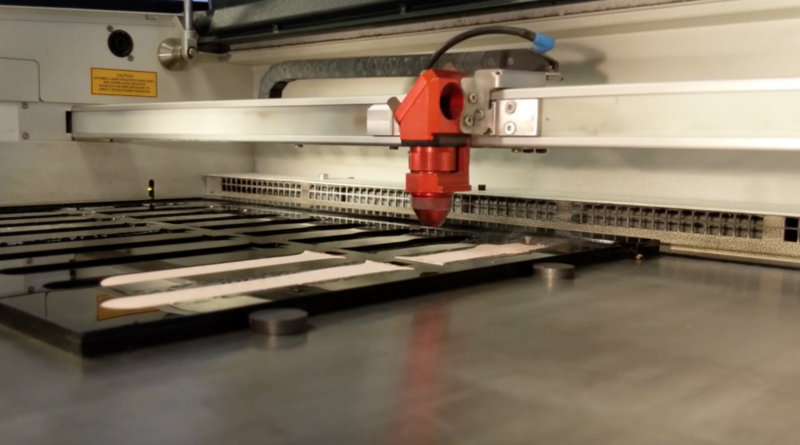 The R&D process begins at Fusion well before the device has officially hit the market. 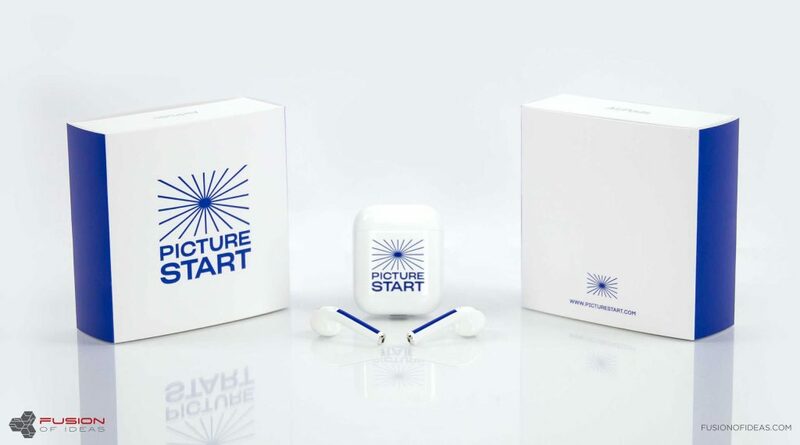 Our customization team gathers information about the materials the device is made of, the dimensions, the packaging and any accompanying accessories. 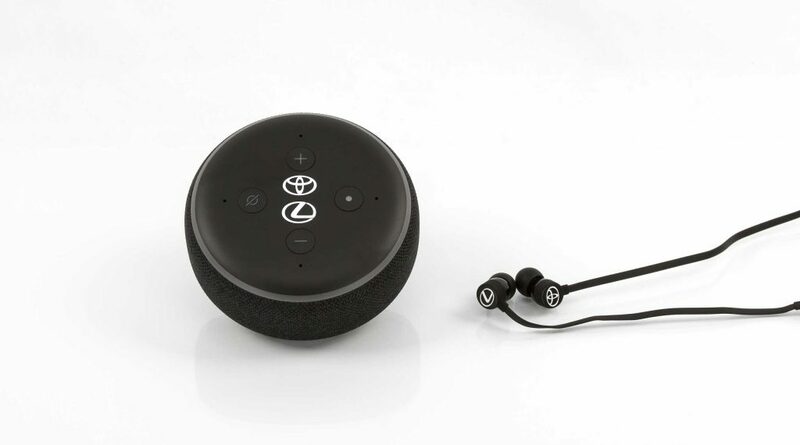 We get our hands on a sample device or two as soon as we can and get to work testing out customization capabilities. 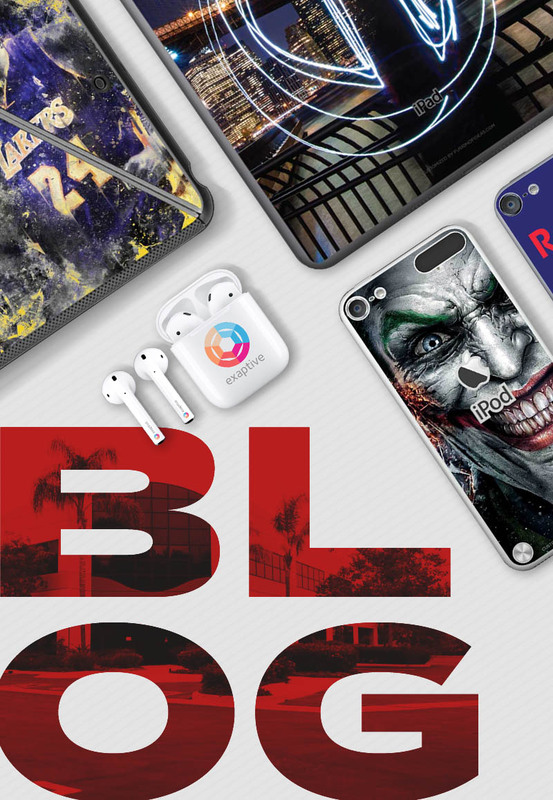 Since their release in late 2016, Apple’s AirPods have been flying off the shelves – and landing here at Fusion of Ideas, where we’ve been customizing unprecedented numbers of the wireless earbuds for our clients. 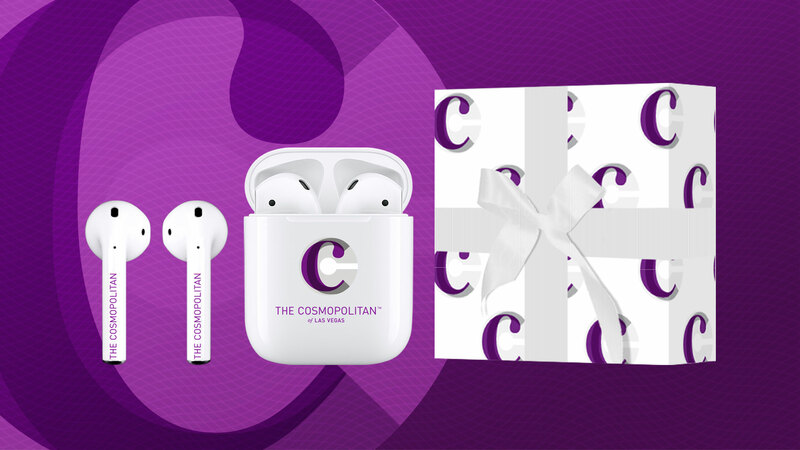 We expect AirPods to be the most customized device during the upcoming holiday gifting season for the second year in a row – it’s an excellent portable piece of technology at an affordable price point for many of our clients. 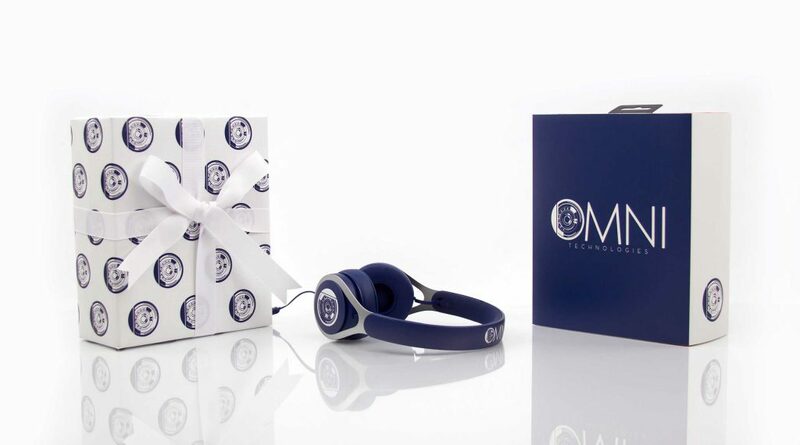 Customization options include the earbuds themselves, the charging case, and custom sleeves and gift wrap to tie everything together. 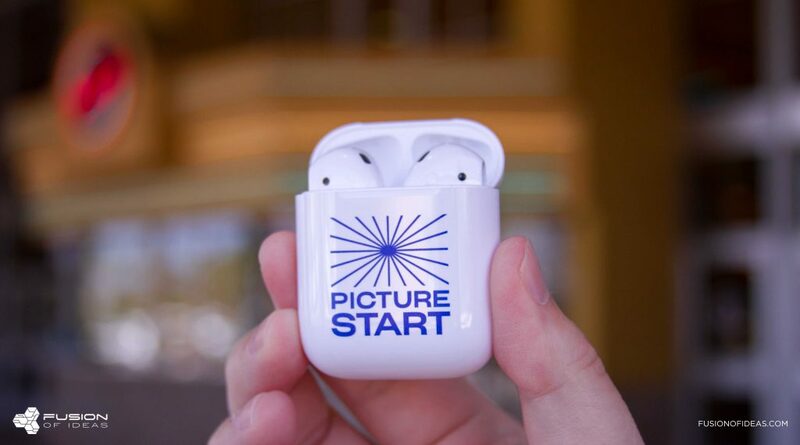 Here’s an example of a recent custom AirPods project we did for a client that nicely showcases all of our available services. 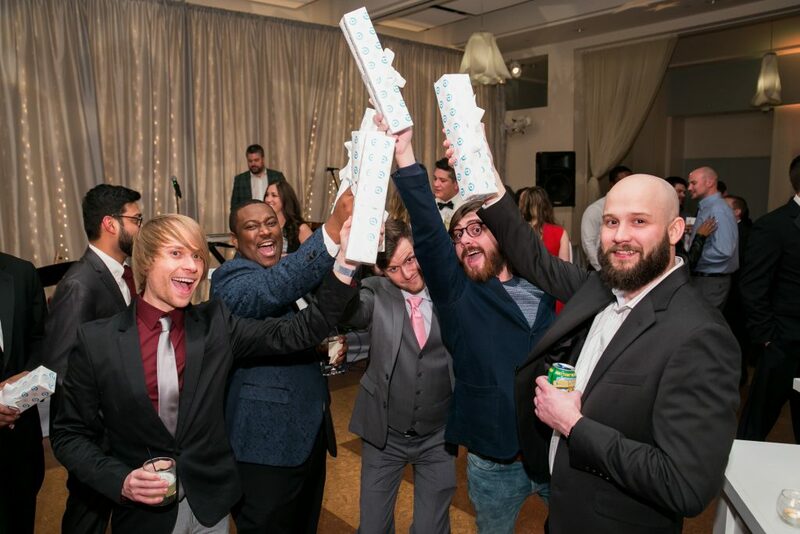 We got so excited that we posted on social media, but forgot to include the news right here on the blog. 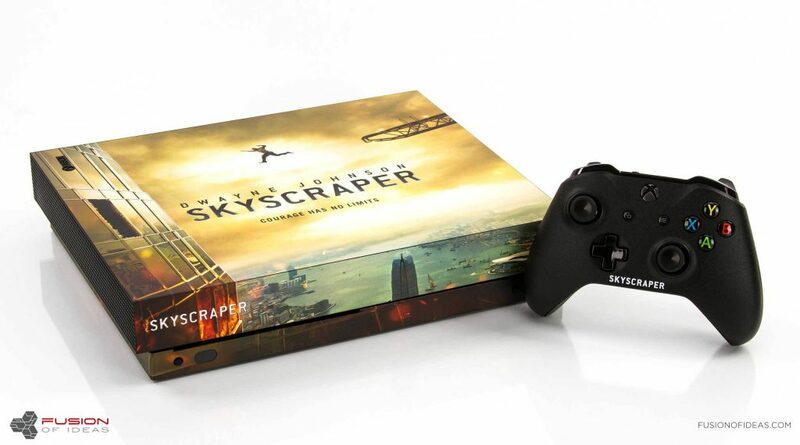 Dwayne Johnson, also known as The Rock, gifted custom Skyscraper edition Xbox’s to a group of amputees. He’s seriously a huge role model. 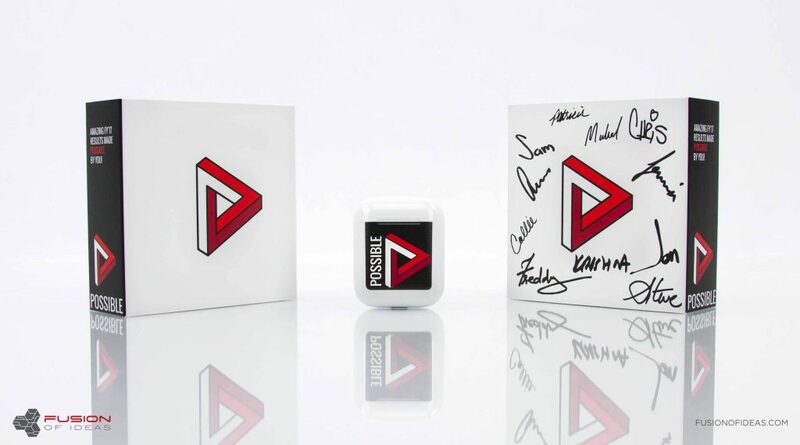 We wanted to share a clip of the video of him giving them away, as well as some of the really cool product shots we got of the project before it left our doors. We love working on projects that are used to do good in the world.